Normally, when you want to update your home’s look you would think of painting, changing your pillows, throwing blankets and updating your accessories. But that sounds kind of expensive, doesn’t it? If you feel like your home needs a little change and are on a budget, or if you simply love having custom made items, you should try adding ribbon to your decorating scheme. 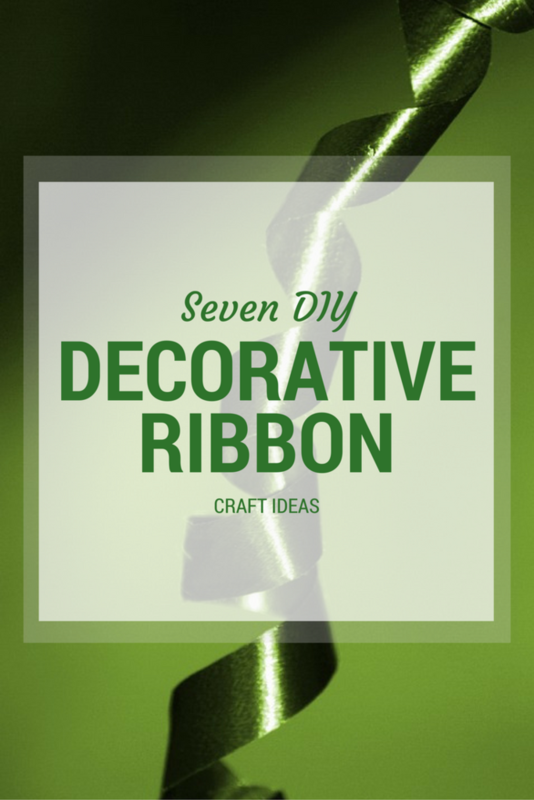 Here are 7 easy and fun DIY decorative ribbon craft ideas that will make big impact with little money. Are your windows looking boring? We’ve got you covered. This no sew ribbon curtains are the perfect way to cheer up your view. They can also be a beautiful backdrop for any special occasion. Speaking of curtains, why not add some tassels to them? Or maybe a tassel garland? The possibilities are endless with this craft. Although Holly from decor8 uses fabric, this can easily be made with all kinds of ribbons! Buying a nice rug can be pretty expensive, but this one is made for a fraction of the price. It looks just as good- if not better- than anything you could find at a department store! No sew needed, for all the newbies out there. Yes! Tassels again. We can get enough of them! With this craft you can turn them into a beautiful colored bed skirt. Although yarn is suggested, this craft can too be made with all kinds of ribbons. Plain walls? No thank you! They too need some decoration. And what a better way to personalize your wall than with your favorite memories! Use this ribbon hanging frames to make those pictures even more special. We’ve talked about ribbon chandeliers before. They are a perfect addition to a rooms décor. A ribbon chandelier can make the most beautiful statement piece in a livingroom, a bedroom, or basically wherever you want to hang it. Again, fabric is suggested, but why not use ribbons! Pillows are an easy way to add an accent color to your decoration scheme. Why not many? Check out this DIY ribbon weave pillow and get some inspiration to make your own. Colorful, neutral, monochromatic, whatever pleases you. Transform a simple decoration item into a custom made piece for your home. Check out the ribbon selection in our catalogue and start adding ribbon to your life!